So here goes–this will be a “Twitter 101” of sorts, and of course I’d love to get this out to all conservatives everywhere! 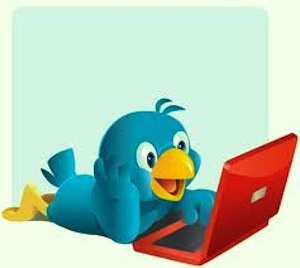 Twitter is a terrific tool for organizing, announcing and energizing a community of friends/patriots. 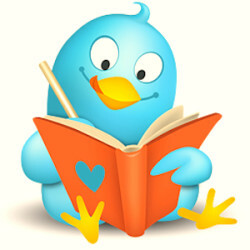 The first step is creating your account at twitter.com. I always recommend that folks immediately upload an avatar (picture or graphic associated with your user account) that will be unique and either feature a pic of the user, or a graphic that represents the spirit/worldview of the user. Next, create a bio which succinctly captures who you are and what you believe. Anyone looking at my bio should have no doubt that I am a conservative woman of faith. While the twitter web site is the site for managing your account and settings, I rarely tweet from or view tweets at that site. My preferred app is Tweetdeck. I prefer to have 4 columns: first, my notifications (tweets to and retweets of @tamij); second, my direct messages/dm’s ; third, my User column (my tweets and my retweets); and fourth, the column for good friends and #hewitt (hashtag for the Hugh Hewitt Radio show). Tweetdeck allows you to upload pictures (drag and drop) and video, schedule tweets in advance, block users and report spam, follow, etc. This is the app of choice for power users. For mobile devices, one great twitter app is UberSocial. There is a platform for Blackberry, iPhone, and android. UberSocial is one of the best twitter mobile apps and offers many of the same features as tweetdeck. I’ve used this app since it’s early Beta days, and none of the others I have tried compare in ease of use and functionality. There is a free version and an ad-free paid version which costs $4.99–completely worth the minimal expense. I now primarily use the latest upgrade of Twitter for iPhone, found in the App store. Now that you’ve got your twitter infrastructure set up, what do you do? This is where the fun begins! Consider twitter to be a cyber “student union” or other such “hang out” where you and friends/like-minded folks critique a speech, share information, commend one-another and get help. Twitter is a cyber bully-pulpit that can disseminate information almost instantaneously! I often tweet out famous quotes (always being careful to attribute the source). You’ll find that linking quotes, speeches, video and the like is a cinch with tweetdeck once you enable the “auto-shrink” function. I also have a bitly account (https://app.bitly.com/) which I would recommend for all of you. Being able to control your URL-shrinking pretty much eliminates the “hijacking” of links to untoward sites. Consider the power of exponential reach that each of you can have with twitter: our wonderful message of patriotism and conservatism can reach more people in less time than any other unpaid venue. Thus, average citizens (like me) can get information out to thousands of people. I have over 26K+ followers, and each of those followers have scores/hundreds/thousands of followers…so when I tweet anything of import, it could potentially reach my follower count to the nth degree!!! Every day there are other new hashtags trending dependent upon the current news and events. For instance #MemorialDay, #troops, #SEALS, #November, #GOP, etc. Savvy users on twitter often create a hashtag as part of the 140 character message to lend emphasis and humor! As you become more proficient at tweeting (the 140 character constraint forces one to be succinct), you’ll find yourself remarking on current events, announcing conservative meetups, and tweeting back and forth with friends from around the country and the world. Suddenly you can watch the Super Bowl commercials with friends located thousands of miles away! People from across the nation can rejoice or mourn in response to the events of the day. There are many people who frequently change their avs (often to mirror a trending topic of the day), however, I maintain the same av everywhere. People looking for the show line-up watch for my av about mid-day and know I will have the line-up with appropriate and timely links I’ve found for articles, books or video. One last thing — twitter’s format allows only a 140 character message, which includes the hashtags. There are a few good apps out there which create a link for longer messages such as TwitLonger. I sincerely hope you find this information helpful as you use twitter to replicate your message to the world! At a time when the news cycle is rapid fire, new media allows once isolated people to jump in the fray and make a difference! After all, words matter: they define and disseminate concepts and precepts, and can affect the hearts and minds of a neighbor or a nation.